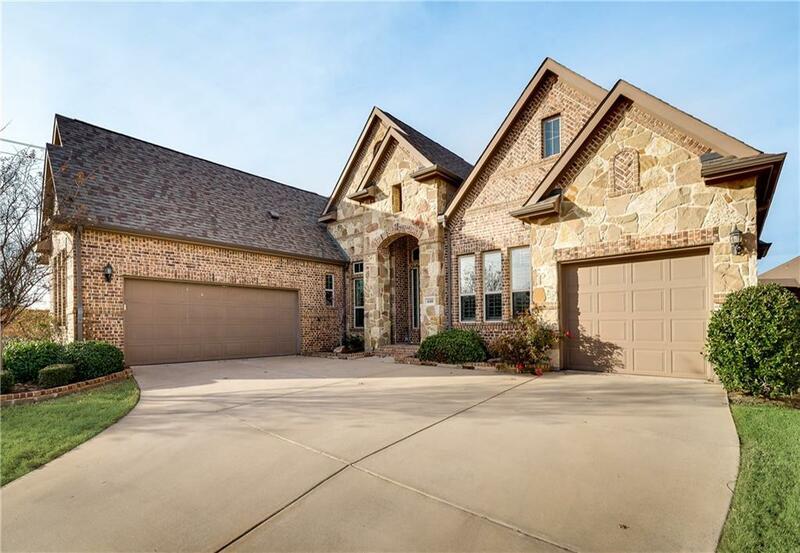 Gorgeous 1.5 story Lantana home has everything you could ever want! Sitting on an oversized lot on a huge cul-de-sac, this home is the perfect mixture of living and playing. Downstairs we have hand-scraped hardwood floors with tall ceilings and plantation shutters throughout so the first floor feels bright and open. Newly painted white cabinets in the kitchen with a big beautiful island great for entertaining. With all the bedrooms being on the first floor, it allows you to live downstairs and when ready for fun, head upstairs to the game room, media room and a powder room for convenience. The backyard is begging for a pool because we know Texas summer is right around the corner! Come and see us today!